Delegates and staff at CCB Training are celebrating an impressive 100% pass rate from The Chartered Institute of Personnel and Development (CIPD), well above the national average. Delegates from Smile Together Dental, Ward Williams Associates, P Chapman Construction and Verto Construction came together to celebrate their achievements at a presentation hosted at the Business Space, Truro. 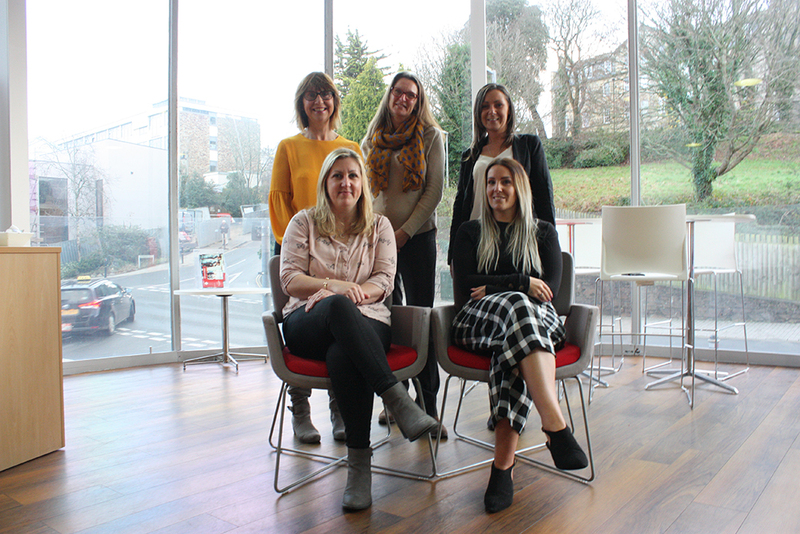 “It’s a fantastic achievement,” commented Lucy Ducoin, Human Resource Trainer and Consultant at CCB Training, part of the Cornwall College Group (TCCG). All delegates taking the CIPD Level 5 Intermediate Certificate in Human Resource Management passed their rigorous assignments laid down by the industry’s body. “I am so proud of all our delegates achieving 100% pass rate,” she continued. “Everyone on the programme was engaged, focused and committed to their own learning and taking that learning back to their workplaces and applying it for the benefit of all. Tina Allen, Head of HR at Smile Together Dental CIC was one of the successful delates joining in the celebrations. “Whilst challenging, the CIPD Level 5 has been incredibly insightful; the journey has broadened my knowledge, skills and abilities,” she explained. CCB delivers a wide range of CIPD, advice and guidance and mentoring courses. This training can be delivered in your company making it bespoke to your business or through an apprenticeship route or on one of CCB’s scheduled courses run across the year. For more information or to book a place on CCB trainings courses or apprenticeships, contact 0800 731 7594, [email protected] or visit www.ccbtraining.co.uk.